Dynamic leisure operator CG Restaurants & Bars is set for its next stage of growth, with the exciting announcement that it will be joining the Welsh capital’s booming nightlife scene in September 2016. Embarking on their first stage of national expansion, Dirty Martini has secured the former Maddison site on 71-72 St Mary Street, Cardiff. Excited to join the thriving community of successful bars and clubs, the group will be investing circa £1M in the refurbishment of the 10,000 square foot venue and hiring 65 new staff. CG Restaurants & Bars have taken the brand from a 1,200 square foot basement in Covent Garden to a seven strong group with budgeted sales of £12.5M in 2016. 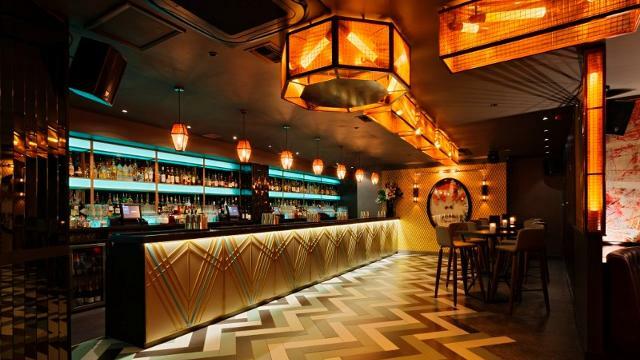 Dirty Martini has developed a reputation for bespoke cocktails and stylish interiors with a loyal following that appreciate the brand’s spirited sophistication. Recently voted best Happy Hour in London’ s Mayfair and The City in the Design My Night Bar Awards, Dirty Martini is renowned for its fresh ingredients and premium cocktails selling over half a million martinis during Happy Hour In 2015. The bar group currently operates seven other sites in London across Bishopsgate, Clapham, Covent Garden, Hanover Square, Islington, Monument and St Paul’s.